FINANCE MINISTER Michael Noonan has ruled out a temporary cut to taxes on motor fuel, despite new figures showing that the price of an average fuel has continued to reach new records. Noonan has said any temporary cuts to the tax on fuels “could lead to significant costs to the Exchequer”, pointing out that the State’s tax take does not necessarily increase as a result of higher fuel costs. Because tax excises are set at a fixed rate per litre of fuel, Noonan said, the tax income “does not increase as the price of fuels increase”. Although this was not the case with VAT, Noonan said in reply to a Dáil question from Labour’s John Lyons, increased fuel prices in turn meant a curtailment in other economic activity which would mean VAT revenue would fall again. EU finance minister have discussed the possibility of cutting fuel excises in previous years, but agreed in 2005 and again in 2008 not to adjust their national budgets to allow for cuts to prices. Noonan said that while the increased price of fuel was obviously of concern to commercial operations, VAT incurred on diesel could be reclaimed. Figures published by AA Ireland on Sunday showed that the price of an average litre of petrol now cost 162.1c – having risen by as much as 5c in the last month – while diesel now cost 157.7c per litre. The price of petrol has risen by almost 10 per cent since a year ago, and by 56 per cent in the last three years. Email “Noonan rules out cuts to fuel taxes despite record prices”. 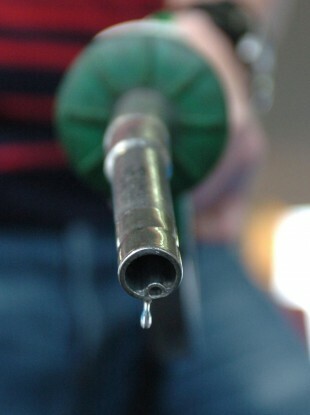 Feedback on “Noonan rules out cuts to fuel taxes despite record prices”.